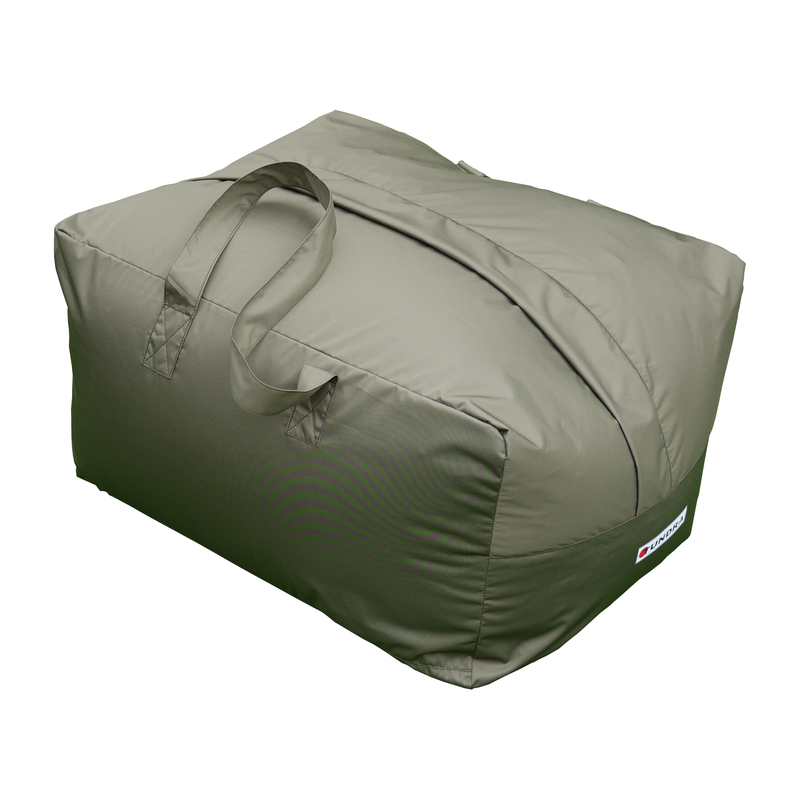 Made from Olive waterproof fabric with taped seams this kit bag is designed to be the best stuff sack for the Arctic Elite Sleeping Bag, part of the Expedition Standard range of products. When using that bag for long periods in Arctic condition it is both tiring and tedious to have to stuff the bag into a stuff sack each morning. This way you can just fold up the bag and place it inside the Grab Bag and also use the bag for other items of gear.